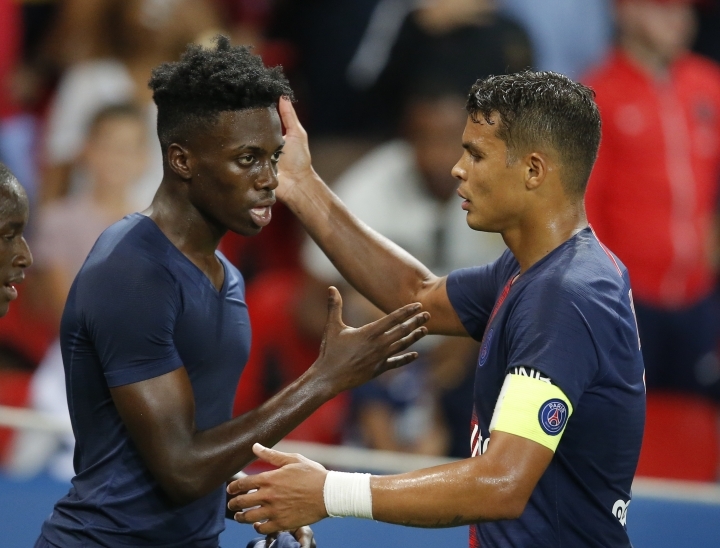 PARIS — Timothy Weah, the son of former Paris Saint-Germain player and current Liberian President George Weah, scored his first Ligue 1 goal for Paris Saint-Germain during a match against Caen on Sunday. Weah raced for a ball that Samba failed to clear quickly enough and tapped it into the net with his left foot. George Weah was a superstar for Paris Saint-Germain and A.C. Milan in the 1990s, and in 1995 he became the first and still the only African-born player to win FIFA's world player of the year award and France's Ballon d'Or. George Weah was elected president of Liberia last December. His son was born in New York City and raised in New York and Florida. Timothy Weah joined the U.S. national team this year and has made three appearances, scoring his first goal on May 28 in a friendly against Bolivia.